The Hope Lake Boarding School was abandoned long ago when one of its teachers drowned by accident and the school was closed. Today, all of the girls who attended Hope Lake have gone missing. Who's taking these girls and was the teacher's death really an accident? 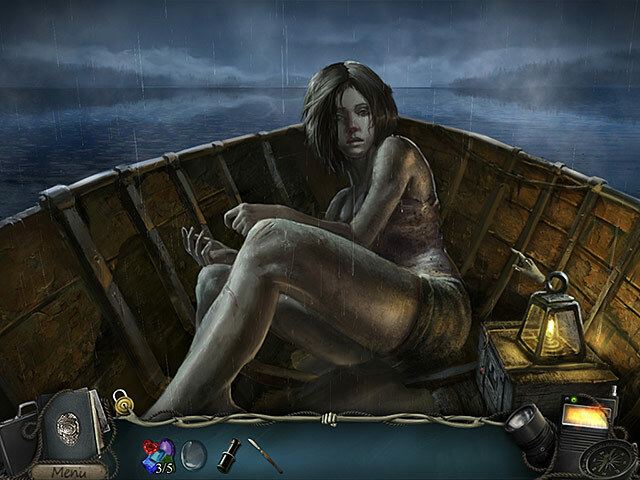 As a detective, you must investigate the strange events which took place on the shore of the lake and within the walls of the boarding school. Emily Lynch was the last girl to go missing – this isn't much of a lead, but something is better than nothing. Visit the abandoned and ill-boding boarding school to uncover the truth about these mysteries. Unraveling the intricacies of this difficult case is going to be hard work. Are you up for the challenge! Hope Lake is rated 3.5 out of 5 by 75. Rated 5 out of 5 by crisgori from Love it Many years have passed since this game was published but in my opinion it really rocks. I know that there are people who like just playing "go forward" games but I know many others would like to use the brain when they play. Why can't we choose between the two types of games? Why Devs actually just create one shot scenes games? In this games there are tons of HOS, a few puzzles and a lot of backtracking. But I mean really a lot. And I love it. Why do I have to search among games from 2014 to play some very good games? Rated 5 out of 5 by EzgiMelody from Awesome ! Awesome Game. Fun HOG.s + Puzzles and impressive Story Line. I Really Loved it ! Rated 5 out of 5 by KeysPirate from Just what I've been looking for! Wow, was I lucky to find this Daily Deal bargain! I would have paid $10 for it. No need to describe all of the extremely well-done features in detail, as other reviewers have done so, but I will join in complimenting the wonderful realistic artwork and animations, the journal with clock (an unexpected little extra), and the flashlight, which is quite helpful in illuminating dark areas. It is rainy and dark outside, and buildings are generally abandoned and unlighted. I love pretty, colorful scenery and objects, but I am weary of the fantasy scenes in so many games these days. I prefer realism, especially "old-time" settings. Yes, there is backtracking, but I loved it. Didn't use the map since I enjoyed going back through the scenes. From the pictures of the game, I was worried that it would be full of unrealistic-looking animated characters, but thankfully not, other than the glimpses of a cloaked figure. No distracting characters to converse with, or a partner. Just me trying to solve a mystery. At least so far... I have only been playing for a few hours and it would seem I have a long way to go. Great mystery, lots of beautifully rendered locations. I can't wait to get on the boat and (I hope!) out on the lake. The music is repetitious, but makes for a suspenseful atmosphere at low volume. Sound effects are natural. Jump in this lake and enjoy a great swim, fellow Fishies! Rated 5 out of 5 by MAG57 from A great game This game was very long and kept my interest from beginning to end. A couple of times I didn't know what to do I went to BF forums and found answers. The game has an excellent hint button and a skip button. 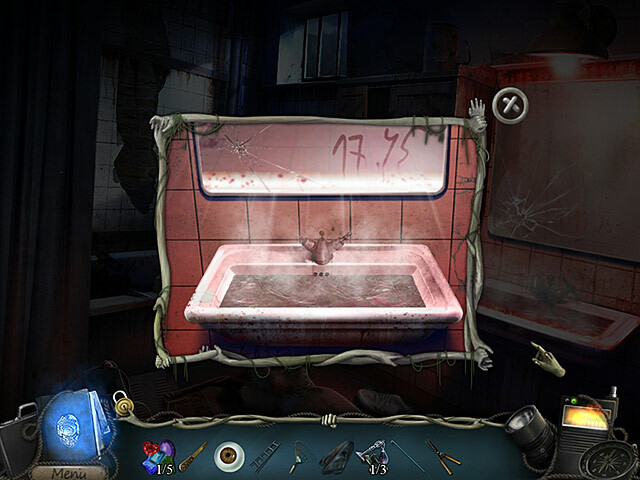 Lots of good hidden object games. No amulets, no monsters, lately there have been too many nonsense games. This game is played in a dilapidated orphanage and on the beach, all things we can relate to. I didn't want it to end. Rated 5 out of 5 by lynnieann95 from Loved this game This game is great. It was only by chance I saw it so glad I did. 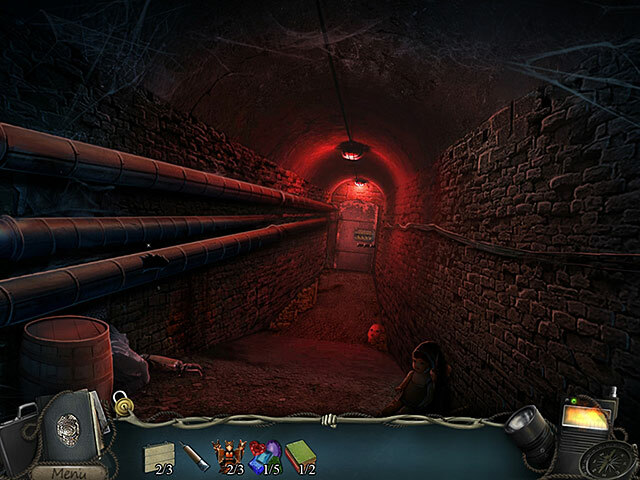 Very reminiscent to me of the early Mystery Case Files games that were my favourite. Good length and kept me entertained for hours. Can't really find any fault as it is right up my street. Please can we have more of these types. Rated 5 out of 5 by bwake47 from I LIKED THIS GAME !! 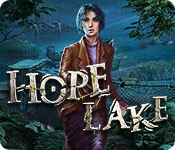 Contrary to what many other reviewers have written, I really enjoyed playing Hope Lake. I found the story and scenes creepy and the music non- intrusive. I liked that you got bits and pieces of what happened in the past to help you understand what was currently going on. Not all was what it originally appeared. I felt the story was a situation that could easily happen today, which kept me wanting to play. For me the game took too long to start each time I logged on, but going from one scene to the next didn't lag for me. In fact, I used the jump map most of the time. It would show where tasks needed done and saved me a lot of needless wondering around. When I saw what scenes had tasks needing to be accomplished, it would help me to remember what item I needed for that area. If I didn't have the item, I knew not to go there yet. Definitely made the game more fun. The one downfall I had was some of the items in the HOS didn't have the correct name to them. I was looking for a "key" which turned out to be a wrench, "Darts" turned out to be a dart board, "comb" was a hairbrush, etc. Only happened once or twice in each HOS, so I just used the hint, laughed, and moved on. I didn't allow it to ruin what I thought was a good game. We all have different tastes in games, so if you have been put off by bad reviews don't be afraid to demo the game and see for yourself. Like me, you might really enjoy it. Happy gaming!! Rated 5 out of 5 by greenshade from Reminds me of True Fear Forsaken Souls! Buy this game today while it's on sale 6/12 ! What a GREAT game... for those of us who are tired of beautiful scenery without much to do.. but like creepy, abandoned places to explore.. and while waiting for True Fear 2 to come out try this game. I actually took time out to write this because I don't want you to miss it! The level of challenge is EXCELLENT with good backtracking and trying to remember even how to get to the next place you need to go. Actually have had to look at the map a few times. Standard HOs but who cares? Wonderful journal.. I love to review the storyline as I go. Transportable map if you need it. I am experiencing NONE of the problems in the other reviews when the game first came out. Why can't they make more games like this?? Back to playing!